There are so many different perspectives and we thought it would be fun to get as many viewpoints as possible. 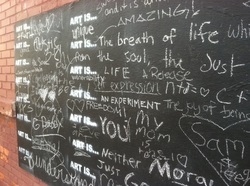 Just stop by our alley and pick up a big yellow marker and add your voice to the conversation. We'll be posting the results on this page.